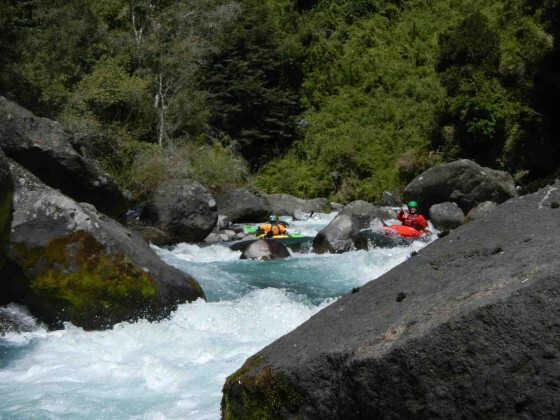 Known as the Rio Pichapinga in it´s upper section and Rio Llaima in the lowers stretch this is a winter/springtime creek run in Chile´s 9th Region de la Aruacania. 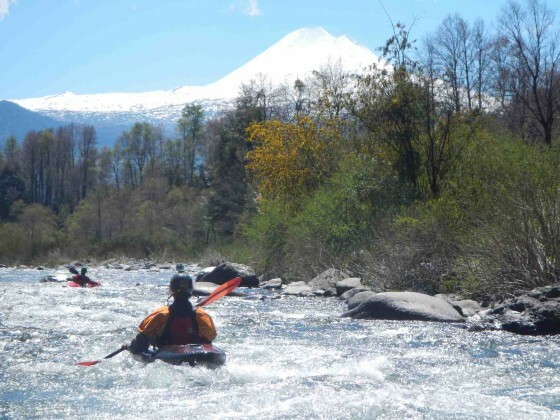 The river flows northwest of the flanks of Nevados de Solipulli into the Allipén drainage. Directions: It is a 2.5 hour drive from Pucon to the take out. Go west to Villarrica then north to Cunco. Go eAst towards Melipeuco for 18.8 km turning right where there is sign for Terma Balvoa. Cross new bridge over Allipen River and continue approx 5 km on paved road to first right hand turn with sign to Curacalco.Follow gravel road 1.5 km to first intersection and go left 560 meters and cross Puente Coña. this is high water takeout but more likely continue upstream 900 meters to a small bridge at elevation 430 meters. To reach put in return to paved road and turn right through small village of Santa Maria de Llaima and stay on main gravel road towards Termas Balvoa o Molulco. 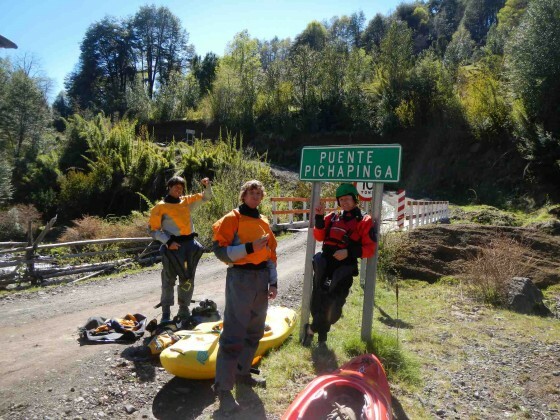 It is 18.2 km shuttle to put in bridge at Puente Pichapinga at 730 meters elevation. 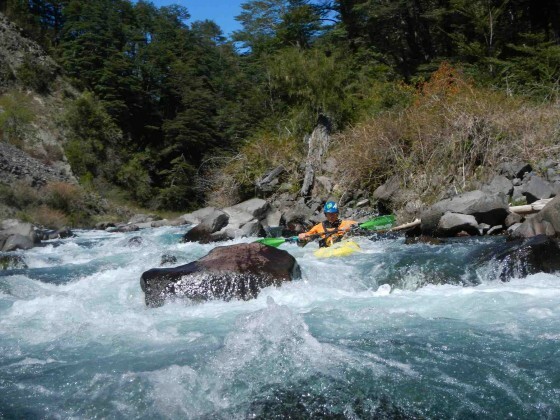 You can continue over bridge and put in an additional 1.5 km upstream at either of the 2 hot springs elevation 800 meters. Normally September/October would have good flow but on our first descent October 3, 2012 Jake, Rodrigo, Ian and myself found paltry flow of around 100 CFS at put in and 300 CFS at takeout. The run was bony but surprisingly very boatable class 3-4 with two optional portages around trees. With higher flows action would pick up to class 4 with maybe even some class 5. I had previously seen both the put in and take out of this river in mid November 2011 and at that time there was at least twice the flow so in normal water years river should runnable from winter months to the beginning of December. 5 KM into the run the estero Pallanilahue enters from the right significantly increasing the river volume. At this point a road reaches the river from the Eastern side but does not cross the river although a log foot bridge does.